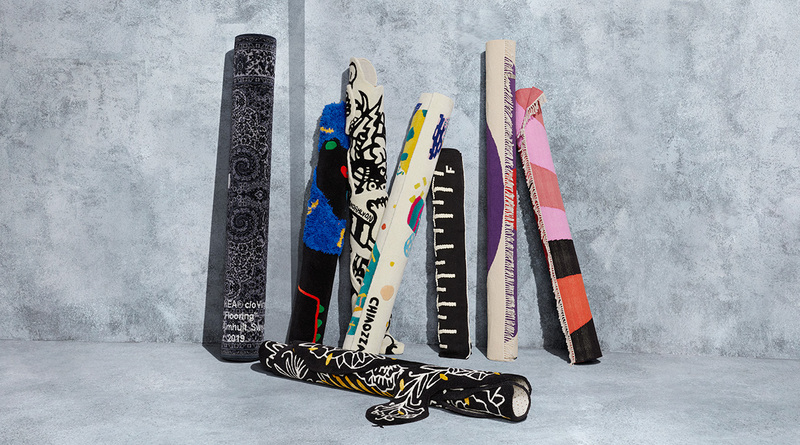 Meet the new limited edition collection of the “IKEA Art Event 2019” rugs created by eight contemporary artists. These art pieces are a mash-up between age-old rug techniques and the worlds of avantgarde fashion, tattoo art and sculptural objects. Let us introduce you a couple of town dwellers who have been admiring nature all their lives. Exploring the city and its architecture is something they can do anytime they want but to leave the concrete jungle for the real one – that has never happened before. But now when their grownup children moved from home, the couple returned to their forgotten hobbies: he is into fishing and collecting rods and she enjoys gardening. Finally, it’s a dream come true – exotic nature destination is only few steps away and it takes nothing to visit it. A funny trip with friends or evening just for two? When you have a large terrace, you can choose both. Hot food, fresh air and good friends in the daytime and the perfect romantic time after the sun sets. Just like this couple did! Have you ever dreamed about a resort, that you can visit anytime? The girls renting an apartment in Old Town created their own hot travel destination – a personal resort in their balcony, where sun, laughter and heat are always on the list (you can ask their neighbours if you have doubts). Morning coffee and long evening talking about everything what comes on mind make this place even hotter. Have you ever dreamed about a true adventure with your children? That is what grandparents have planned for the upcoming celebration with their grandchildren. It is not the first adventurous Easter party at their home, but it is going to be very special this year. Celebrating the Easter in your own apartment? While preparing an impressive menu, try to surprise your loved ones and friends with an inspiring table setting, too. Invite fresh colours and fill your home with springtime mood - it is easier than you might think. 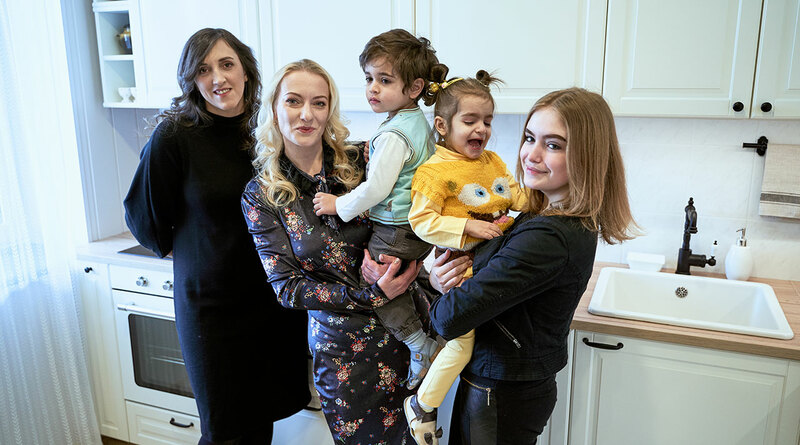 This three-room apartment is home to three generations: our hero Natalija, her daughter Aleksandra with her husband Daniel and the little Veronika and Bernardas. Natalija spends most of her time in the living room that hasn't been upgraded for three decades. And neither has the balcony. Over years, it has turned into a pantry and now offers anything but rest. IKEA interior designer Birutė Beniušė decided to bring back colours and joy to these two spaces. 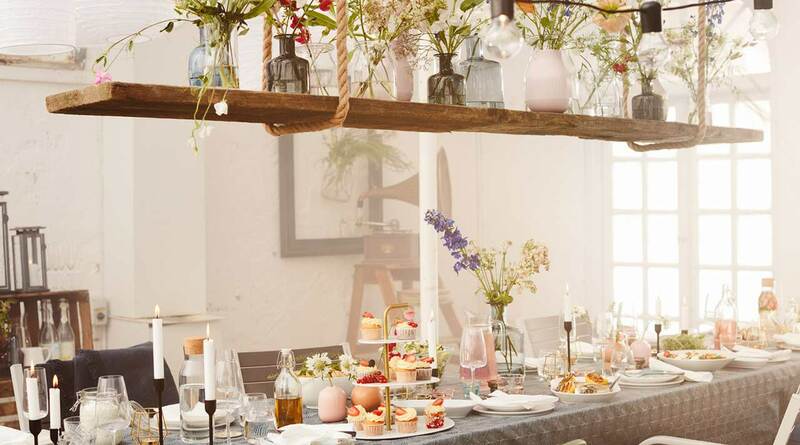 Whether it’s an everyday gathering or a celebration, let the season set the tone with a stylish spring table. Go bold, be creative and make it comfortable for both the little and the big ones. If pomp is not your plan for this Easter, start your festive day with a cosy breakfast (with your parents, friends or even just the two of you). How to set the table in a 'homely' and relaxed style? Just follow these seven tips of IKEA interior designers. 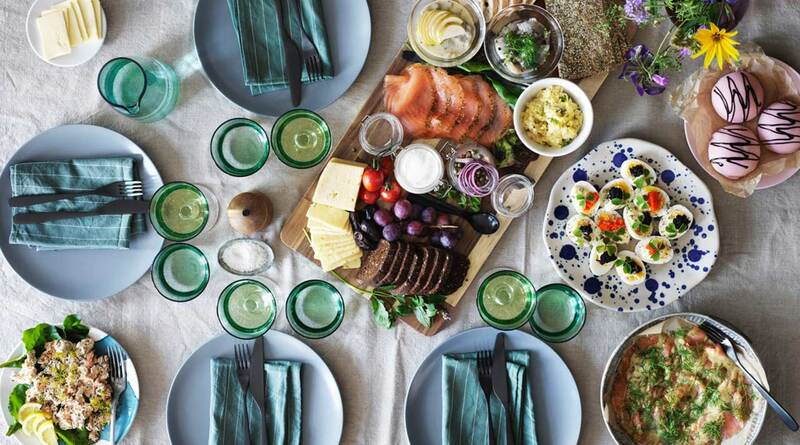 When grandparents, aunts, uncles, children and grandchildren share the same table with Easter dishes, one might think there is no room for elegance. But think again! You can invite the whole family and the elegant spring mood as well. 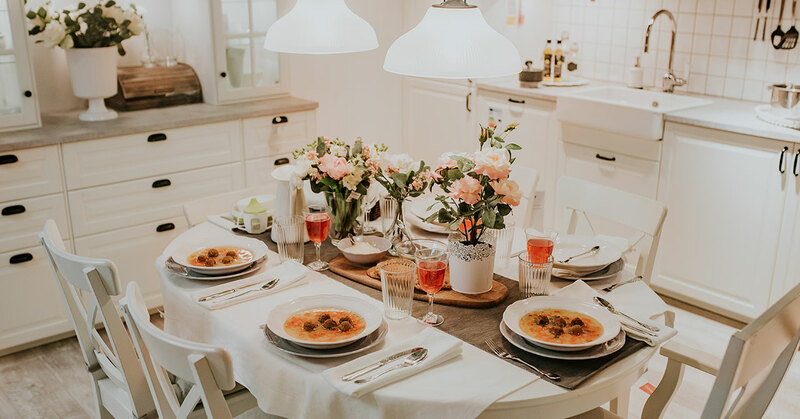 IKEA interior designers are willing to share some ideas on how to decorate your table and create a cosy environment without any effort. Although we usually invite guests to the living room, this time let us welcome you to the garage. 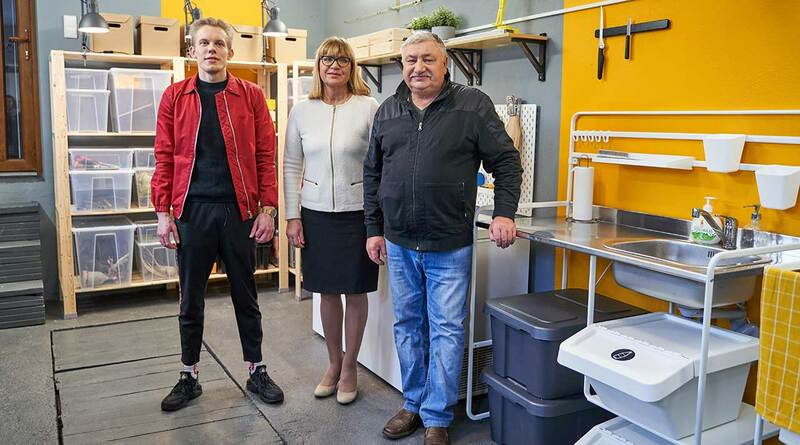 Meet another team of our TV project "HOME IDEA with IKEA": our hero Stasys who spends a lot of time in his garage, and IKEA interior designer Mantvydas Breivė who has been also invited for a short stay there. 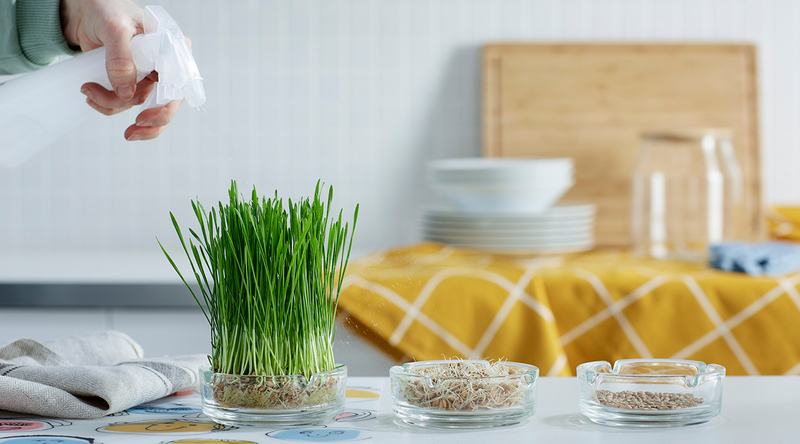 Six fun and simple ideas for a greener spring (and you don’t need a garden). Meet the fifth and the largest team of our TV project called "HOME IDEA with IKEA". 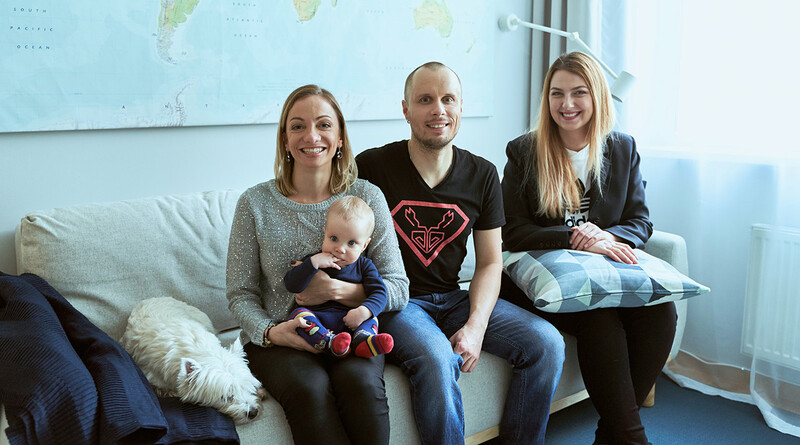 Let us introduce you to Rūta and Marius, their five children, a puppy Snaigė and our interior designer Vaiva Klezienė who took a challenge to upgrade the room of three family's tots. Welcome to a home of another family participating in our TV project "HOME IDEA with IKEA". 25-year-old Vitalijus and his 14-year-old sister Nastė living together in a transitional room are the heroes of this week. They share the three-room apartment with their parents Liudmila and Sergėjus, their aunt Jelena and their puppy Ričardas. A big family means a lot of action at home. To take some action towards a better life at home, they had a helping hand of our interior designer Toma Montvilaitė. Blue is this season’s coolest colour, bringing a breath of fresh air indoors. 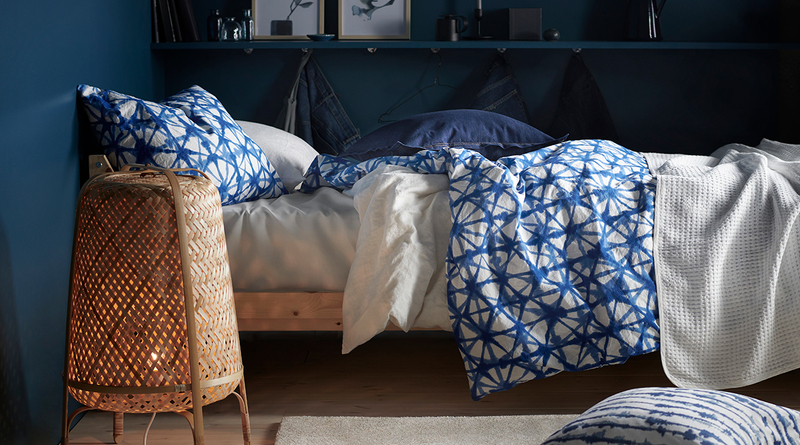 Combine this pick of favourite blue buys with natural materials for a feel-good new look. Visit another family of our TV project "HOME IDEA with IKEA": mother Mintarė and three her kids: fifteen-year-old Rusnė and her little siblings Preila and Vakaris. 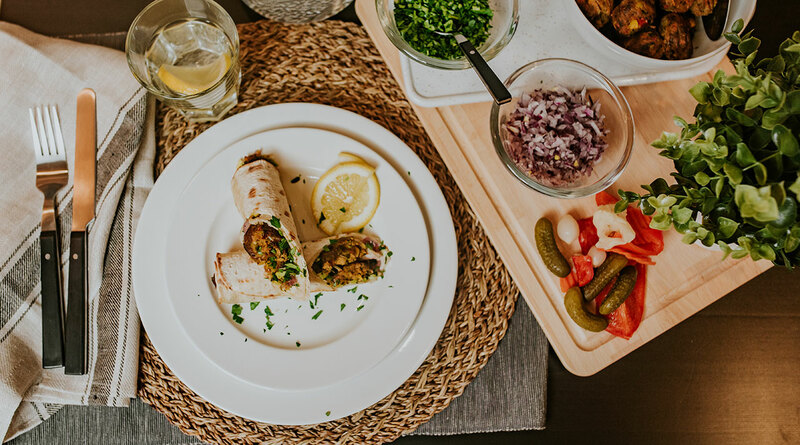 Mintarė who used to work in restaurant business now spends a lot of time in her own kitchen. As her children suffer from different allergies, she prepares different meals for every one of them. Since the kitchen is one of the most important rooms in this family’s home, they decided to renew it with a helping hand of IKEA interior designer Ilona Mozgo. 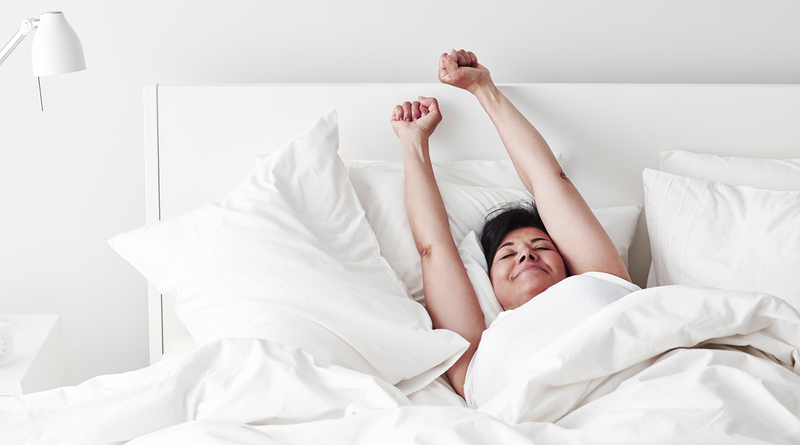 Let’s face it: the more comfortable you are in your bed, the better-quality sleep you’ll get. While we all have different wants and needs when it comes to the perfect bedtime set-up, the same factors will help everyone create theirs. Meet the collection that puts you in holiday mode just by looking at it. 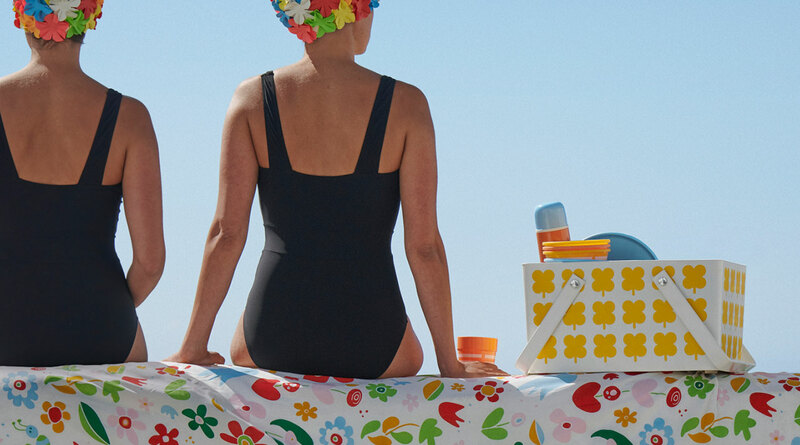 From bright beach towels, to graphic patterned picnicware, SOMMAR 2019 has everything you need – and it’s in store now! An unexpected party? Relax, delicious snacks are just a few minutes away. 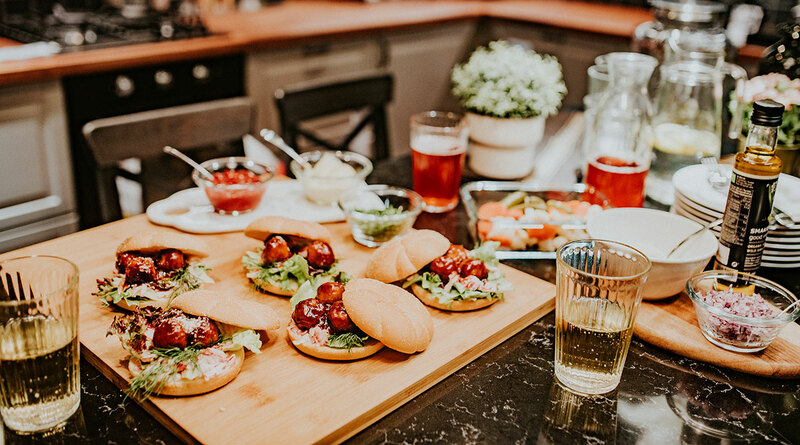 Just make some burgers with chicken meatballs, put them on a big LÄMPLIG chopping board, so everyone can help themselves, sit back and enjoy the time with your friends. Make a Sunday brunch just for yourself and enjoy a late morning meal with something new. A wrap with our delicious veggie balls is a great start for a day of sunshine and relaxing. 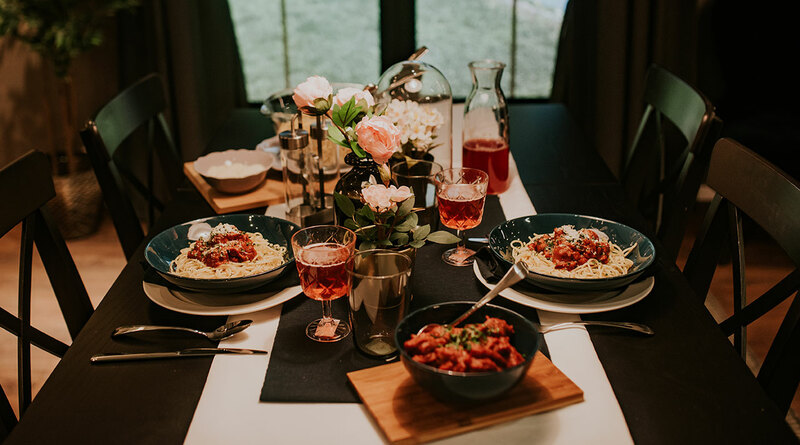 A romantic evening without hassle? IKEA meatballs is the right choice. 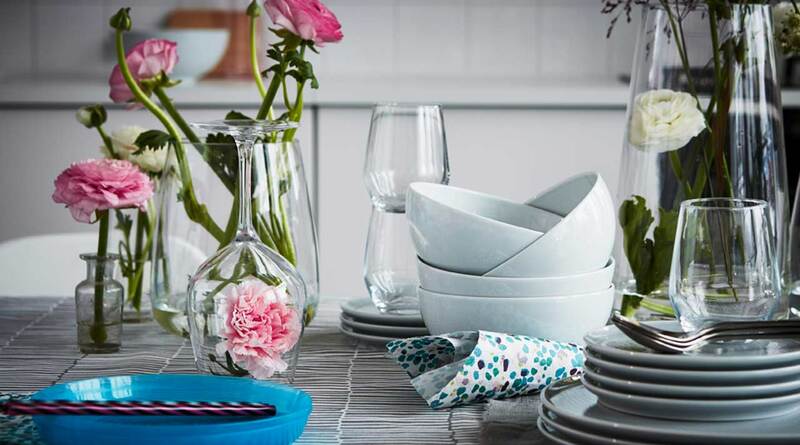 Whip up a dinner for two in no time and add expression to your table setting with colourful FÄRGRIK dinnerware and beautifully ornate FLIMRA glassware. Soup with meatballs is a great for families with kids, kids just adore this meal. Soup with meatbals is a simple and tasty choice for the whole family and it can be prepared without spending much time. Step into a home of this lovely 50-year-old couple. 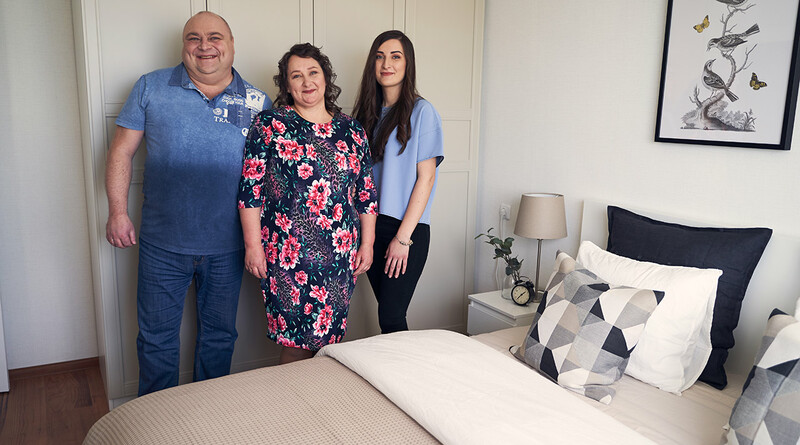 Security guard Bogdan and his wife Liucija who works at supermarket bakery have long dreamed of a new bedroom until one day they got on the TV project called "HOME IDEA with IKEA" and met the IKEA interior designer Kristina Tamašauskaitė. Wondering how it all went? Take a look. Get the bigger balcony you've always wanted. 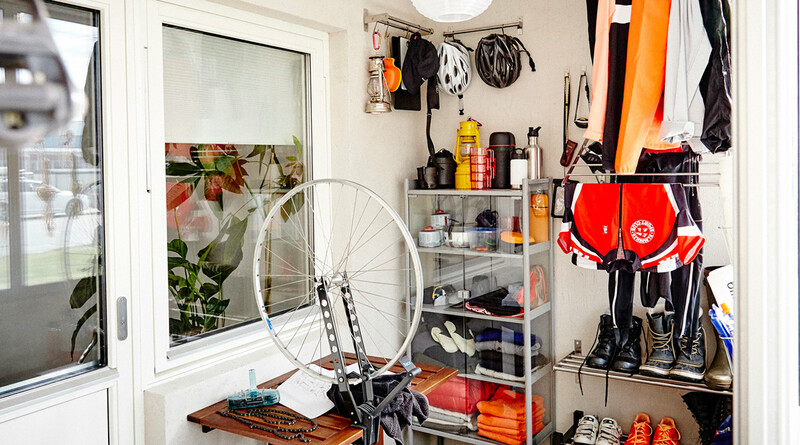 No matter how small your balcony may be, secondary storage solutions help you combine efficient storage for anything from your bike to sports equipment, record collection, flowers or gardening tools with a space you can still use to relax and hang out in. 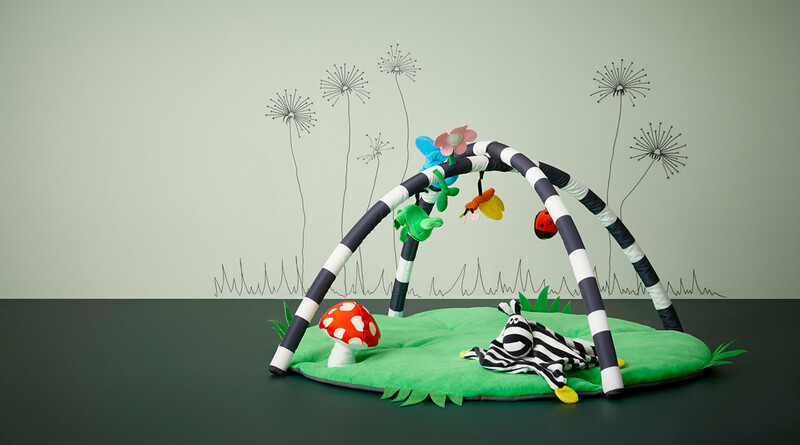 From soft toys to furniture that grows together with your child, we always like to take the child's perspective. 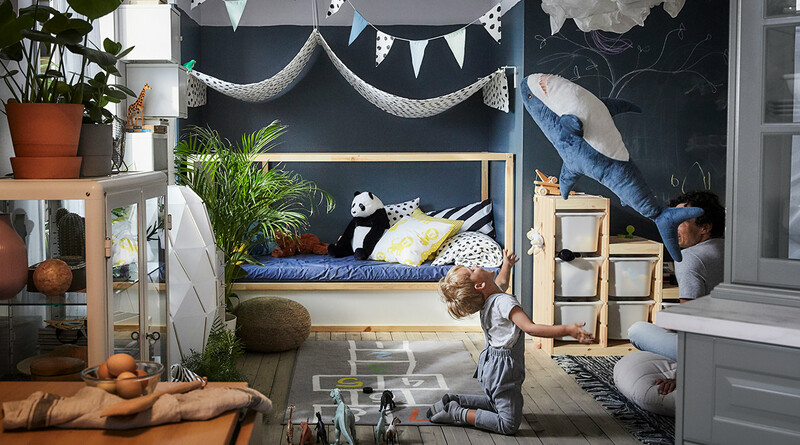 For many years, we have developed thoroughly tested products that stimulate children's play, movement, and creativity, which all leads to one result - a safe, cheerful and inspiring children's room! We think that little things can make a difference to your everyday. Like knowing all your electronic chargers are in one place, your keys are exactly where they should be and you never have to search for a missing sock at 6am. We have storage solutions for all the small stuff, so you can just get on with your day. 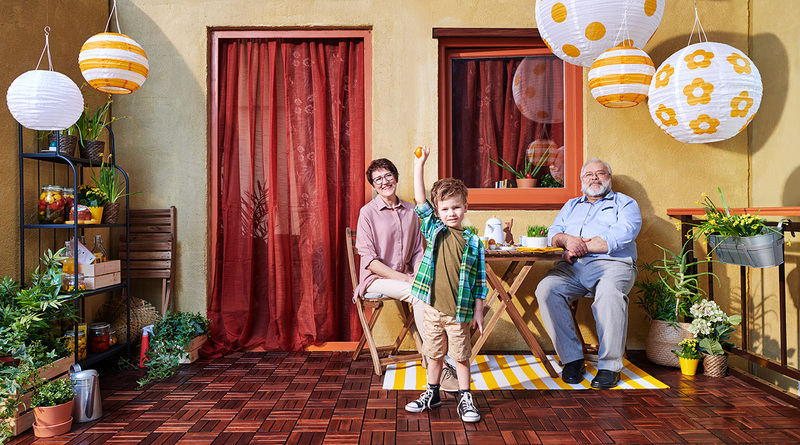 Meet the first family of our TV project "HOME IDEA with IKEA". In a small one-room apartment, there are four of them: father Aistis, mother Rima, their son Elijus and their pet Ruku. Look how IKEA interior designer Eimantė Nemanė helped them renew their 24-hour living room. 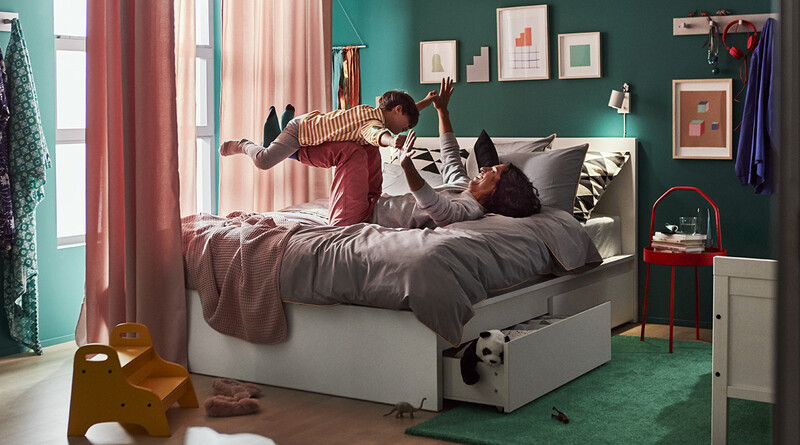 IKEA vision is to create a better everyday life for the many people. 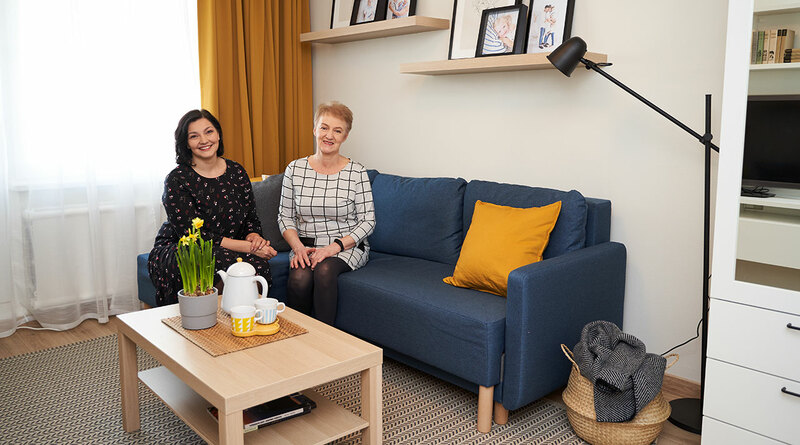 As for us the better life starts within cosy and comfortable home, together with the TV3 channel, we are launching a TV project called "Home Idea with IKEA" and refurnishing seven different rooms for seven families for free. Quality materials, stylish items, a double bed for one and a roomy wardrobe for all your stuff. Sounds like an apartment of your dreams? Furnishing one is way easier that you might think. 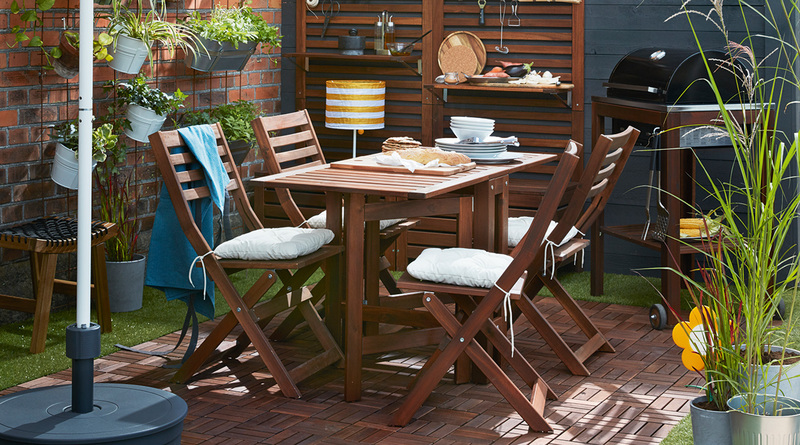 Browse the IKEA Spring catalogue to get inspired. 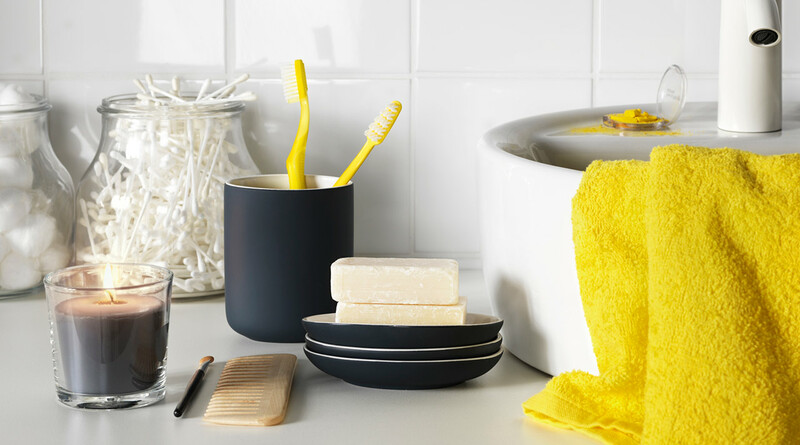 Sometimes just a few of stylish accessories can make your bathroom feel totally new. 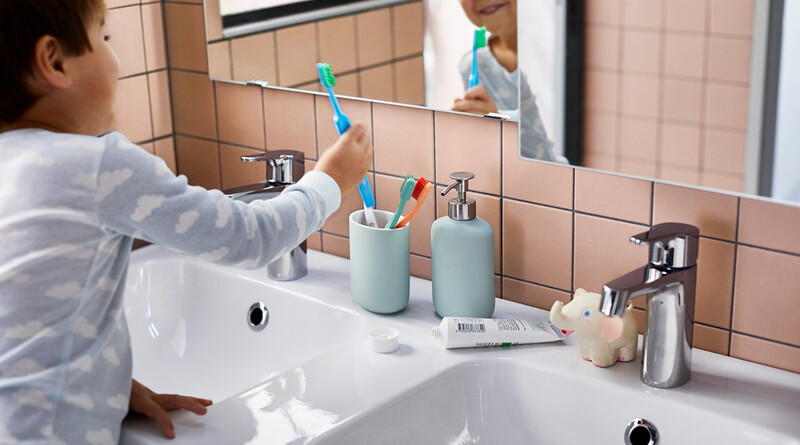 Add ease and me-time to your days with matching accessories or browse the IKEA Spring catalogue for bathroom furniture and inspiration. A bathroom is where all your days start end end. But how to make a small-space bathroom work for smooth daily rituals and all family's needs? It's easier than you might think, actually. 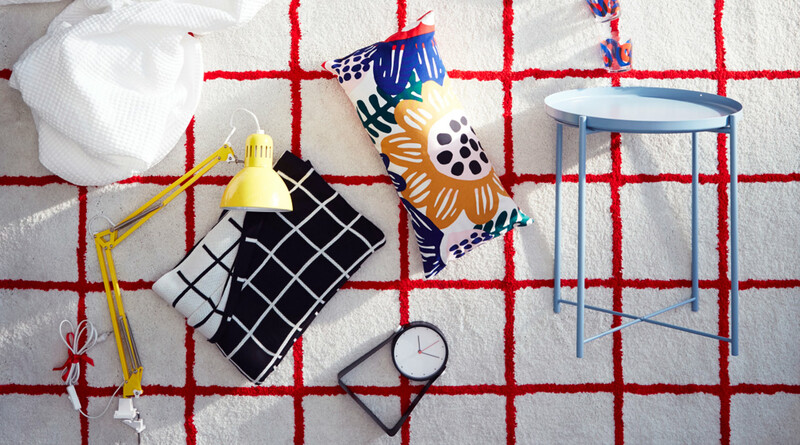 Browse the IKEA Spring catalogue to get inspired. Welcome to the conscious home of a big-hearted man who always puts his little boy front and centre. Throughout their small city apartment, dad has set up resourceful DIY solutions for play, learning, and cuddling. How to create a healthy and sustainable home with limited means? 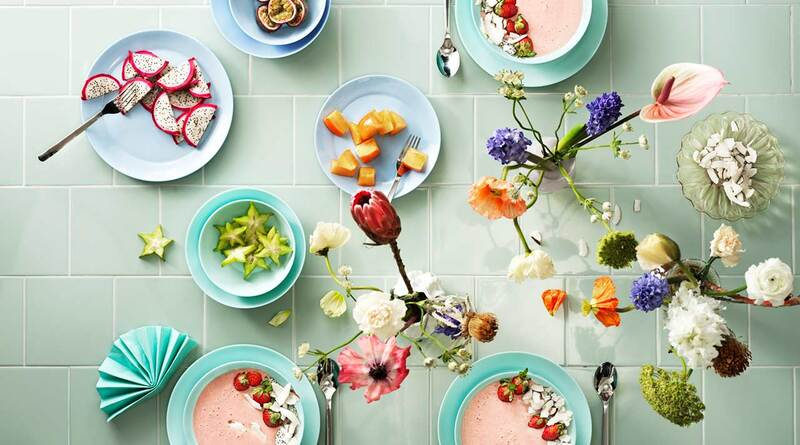 Browse the IKEA Spring catalogue to get inspired. Determined to combat the clutter? Start with the bedroom. If you have a non-standard room (living in an open space or sharing a bedroom with children), you will definitely need non-standard storage solutions. 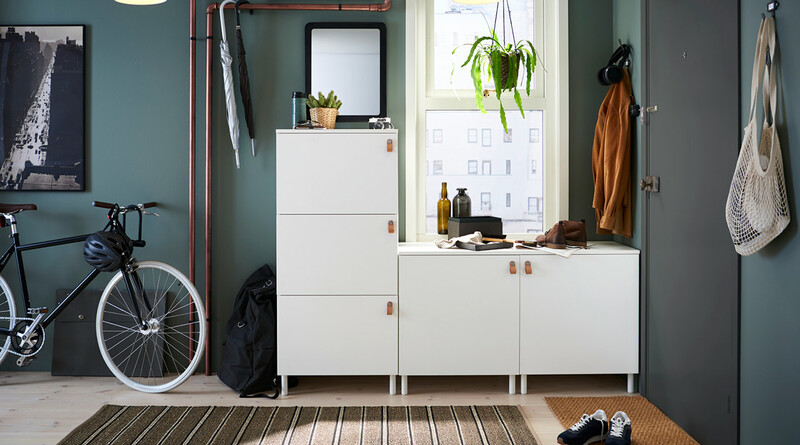 Our flexible and easy-to-move clothes racks, shelving units and other storage heroes might just be the answer to your daily routines and organising resolutions. 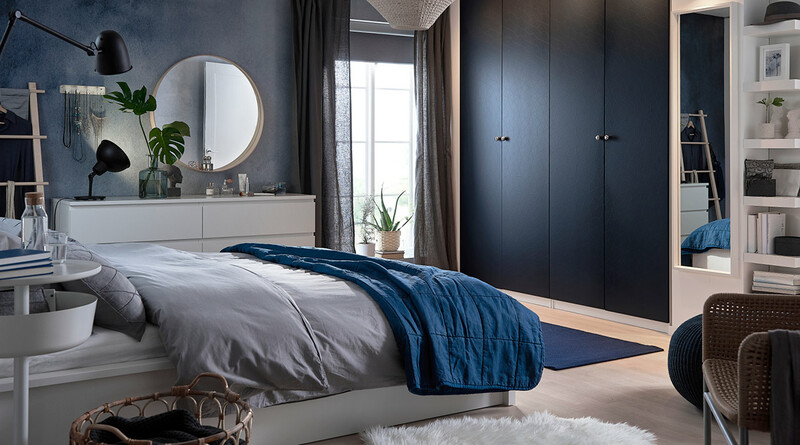 Dark or bright, big or small, set up in a living room or in the attic – whatever your bedroom is, with musts like a mattress and bed linen to helpers like curtains and a nightstand, you can tailor-make a space so energising you’ll skip that morning coffee. However, if you feel that your bedroom could be a little bit better, the upcoming spring is a great time for change. Upgrade your bathroom without getting the power tools out thanks to the new range of TISKEN suction accessories, and use the smart new RABBLA moisture-proof boxes to add extra storage when space is limited. Sleep in style! 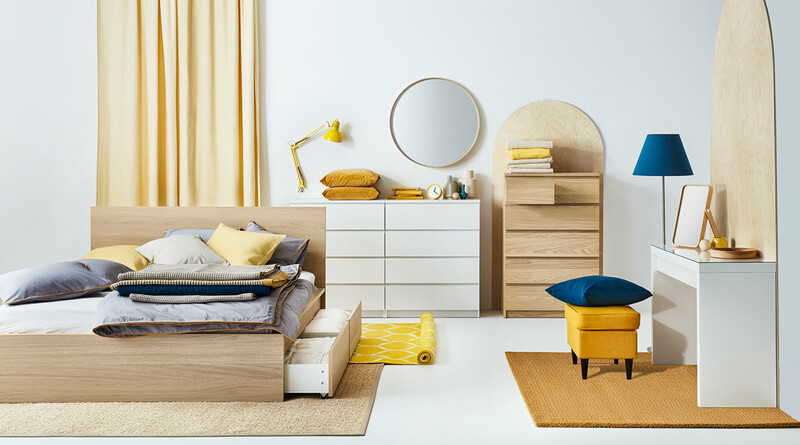 Here we show two completely different ways to spruce up your bedroom for spring – and what you need to create each look. Meet the upcoming spring and bring some new colours to your life and home. 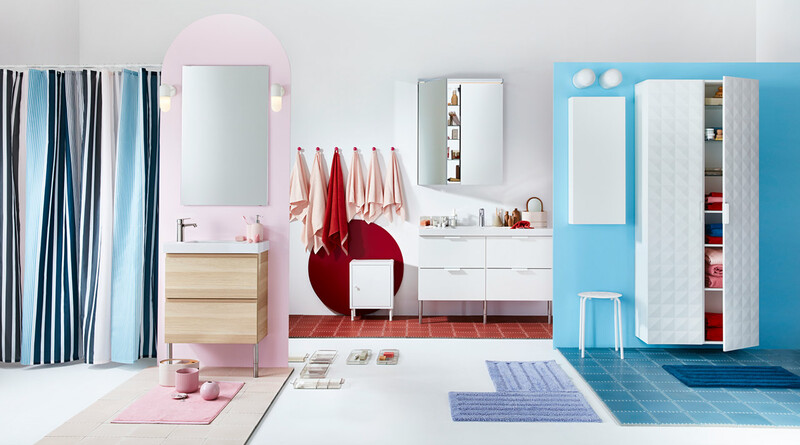 This year, rely on pastel palette and minimalism: apply the GODMORGON furniture to your bathroom, discover the PLATSA storage solutions for bedroom, and fill up your heart with freedom and peace. 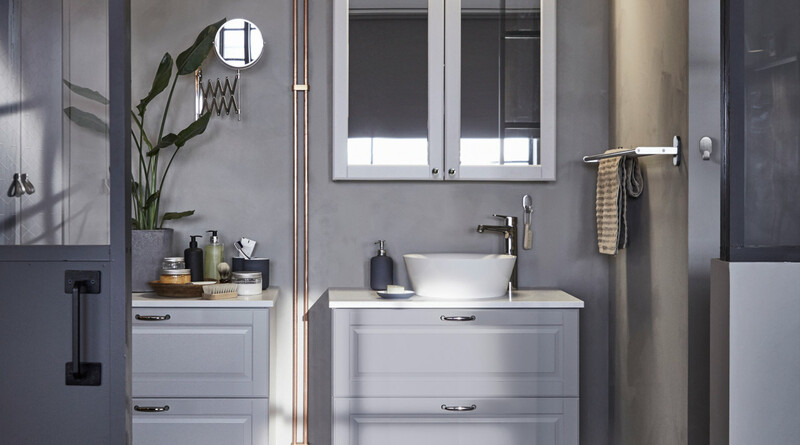 If upgrading the bathroom is your resolution for this year, IKEA can help you implement it without spending much money or time. Start from small alterations, such as EKOLN bathroom accessories or a new bright-coloured bath towel. With springtime just around the corner, most of us want to change the mood of our homes. So we are here to share bundles of ideas that are bold, functional affordable, and easy to apply. 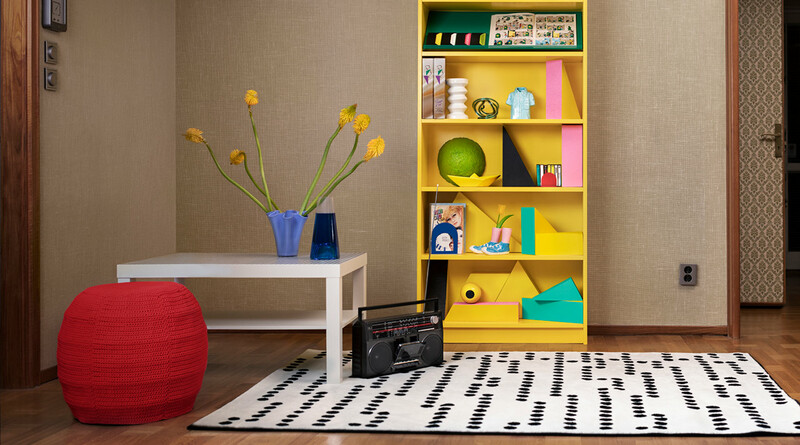 BILLY is more than storage, it’s a chance at self-expression that makes each bookcase as unique as its owner. As BILLY turns 40, celebrate with new colours and accessories. Would you like to upgrade your bathroom? We are here for you. 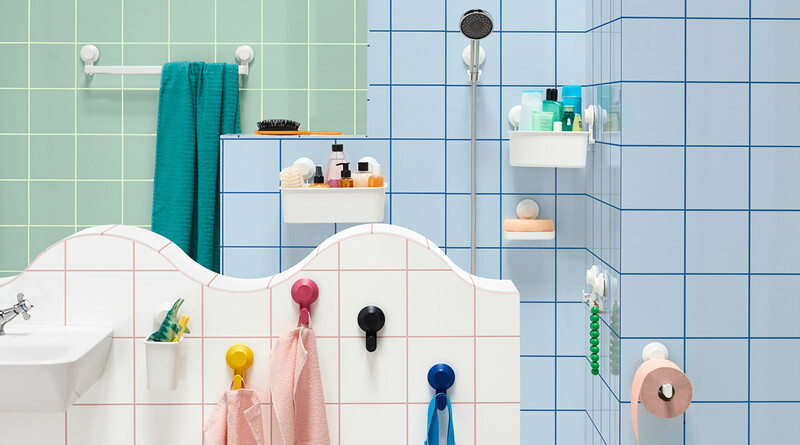 To find more space-saving bathroom furniture, functional storage solutions and new inspiration for a sustainable and kid-friendly home, browse the IKEA Spring catalogue. Life happens around the clock. Especially when you live in an urban apartment and have children of different ages. But can you create a functional home for a family of four that meets all their different needs? For sure. 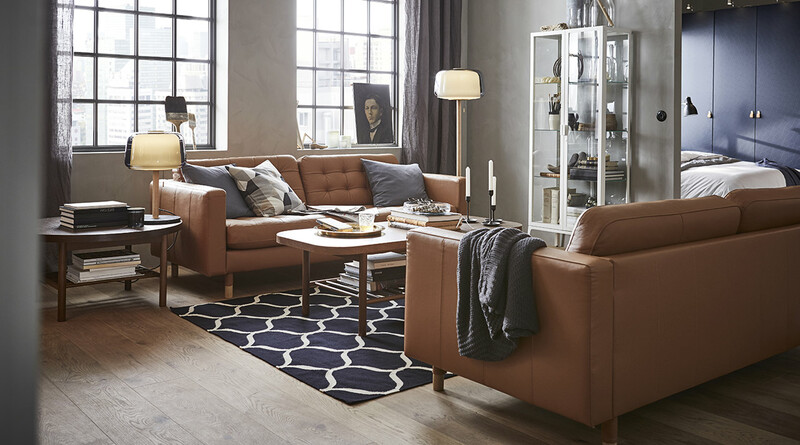 Browse the IKEA Spring catalogue to get inspired.